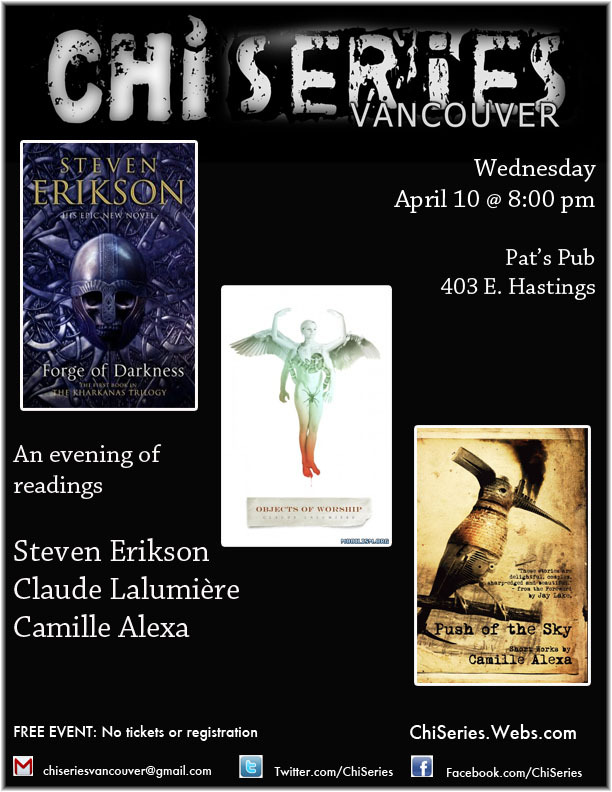 Come join CAMILLE ALEXA alongside Claude Lalumière and Steven Erikson on April 10th, 2013 for the ChiSeries reading at Pat’s Pub & Brewhouse in gorgeous Vancouver! Books, booze, readings, and the schmooze — all at this TOTALLY FREE event. Why would you not come? WHY? Anyone with a special reading request, email me!